1.1. 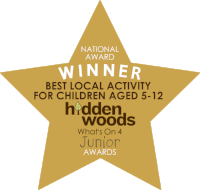 The events/activities are provided by Hidden Woods Limited (hereinafter referred to as “Hidden Woods”, “we” or “us”), a company incorporated in England and Wales with company number 07349122. Our registered office is at 141 Englishcombe Lane, Bath, BA2 2EL. 1.2. Subject to clauses 7, 8 and 24, we will use our reasonable endeavours to provide the events/activities advertised on our website. 1.3. We will provide the events/activities using reasonable care and skill. 1.4. We may appoint independent sub-contractors to run or assist on our events/activities or use third parties to arrange or supply certain aspects of our events/activities. You agree that our obligation to you is to use reasonable care in selecting competent, independent sub-contractors and third party suppliers to provide reasonable services related to the event/activities. You agree that Hidden Woods is not responsible for the actions or omissions of such sub-contractors or third party suppliers. (a) the parent or legal guardian of such person if they are a minor; or (b) a duly authorised agent of such person. 2.2. If you are purchasing an event/activity as a gift, you agree that you will provide the recipient with a copy of these Terms and notify them that by attending the event/activity they will be deemed to have agreed to abide by these Terms. 2.4. By making an online booking or submitting a booking request, you agree to be bound by these Terms. 2.5. An online booking or booking request constitutes an offer by you to purchase an event/activity in accordance with these Terms. Once your booking request is accepted by us (by the issuance of a booking confirmation), a separate legally binding contract will come into existence (comprising these Terms, your online booking/booking request form and the booking confirmation) between us and each person named on the booking information (other than a minor, in which case the contract will be between you and us) (each, a “Contract”), provided, however, that you will remain liable for all payments due. The date on the booking confirmation is the date of such Contract. 2.6. These Terms, together with your online booking/booking request form and the booking confirmation constitute the entire agreement between us. You acknowledge that you have not relied on any statement, promise or representation made or given by us or on our behalf which is not set out in such Contract. 2.8. We reserve the right, in our sole and absolute discretion and without the need to give reason, to refuse to accept a booking/booking request. In such circumstances no contract will arise and we will return any payment accompanying your booking/booking request. 2.9. Before a Contract comes into existence between you and us, we reserve the right to increase or decrease the advertised price for an event/activity and/or to amend any of the information contained in the event/activity description. 2.10 All participants for the events and activities that are under 18 years of age at the time of the event/activity commencing will be required to submit a consent form, completed and signed by a parent or legal guardian. Failure to submit this completed form prior to the commencement of the event/activity will result in the participant being refused entry on to the event/activity. In such circumstances, you will not be entitled to a refund of monies and we will not be liable to pay any compensation or incidental costs or expenses that you may incur as a result, or for any other loss or damage howsoever caused. 3.1. All event/activity fees are payable in Pounds Sterling (“Sterling”). 3.2 Full payment must be made to Hidden Woods Ltd (and received by us) at the time of making a booking/submitting a booking request in order to secure your place on the event/activity, unless otherwise agreed in writing by Hidden Woods. 3.3. If a deposit payment has been agreed in writing by Hidden Woods (pursuant to clause 3.2), then the balance of the event/activity fee, if any, must be paid by the date specified in that written agreement. (b) PayPal, using our account ID: paypal@hiddenwoods.co.uk. 4.1. If our costs of running an event/activity increase for reasons beyond our reasonable control (including, without limitation, an increase in taxes, duties or fees by a government, other governmental action or an increase in the cost of transport, labour or materials) we reserve the right to increase the event/activity fee. Any such increase in the event/activity fee will be notified to you as soon as reasonably practicable. If the event/activity fee is increased by 10% or more, you will be entitled to cancel your booking and obtain a full refund of all monies paid to us. Otherwise, you will be required to pay such additional amount on the same terms as your original payment. 4.2. Our booking system is supplied by a third party supplier. Whilst we endeavour to ensure that the most up-to-date and correct prices are shown on our website and within the booking system, there is the possibility of an inconsistent price between the two. Once we become aware of any such inconsistency, we will act promptly to rectify the inconsistency and we will endeavour to notify you as soon as reasonably possible. We reserve the right to cancel a booking made at an incorrect price under such circumstances and you will be given the choice of amending your booking to an event/activity at the correct price or obtaining a full refund of monies paid to us. 5.1. Each event/activity is subject to a minimum number of participants for its operation and is subject to cancellation at short notice if there is an insufficient number of participants. If an event/activity is cancelled because of an insufficient number of participants, you will have the option of booking an alternative event/activity with us or receiving a full refund of monies paid to us. We will not be liable to pay any compensation or incidental costs or expenses that you may incur as a result of such cancellation or for any other loss or damage howsoever caused arising out of such cancellation. We recommend that you take out appropriate insurance, which includes cover against such cancellation. 5.2. The event/activity description will specify whether the event/activity is subject to a maximum number of participants. Once the maximum number of participants has been reached, no more booking requests can be made. (b) 29 days or more before the event/activity is due to commence, 20% of the event/activity fee. (b) 57 days or more before the event/activity is due to commence, 20% of the event/activity fee. (b) 85 days or more before the event/activity is due to commence, 20% of the event/activity fee. 6.4 Failure to attend an event/activity will be deemed a cancellation and you will forfeit 100% of the event/activity fee. 6.6. We appreciate that wholly unforeseen events may result in your cancellation of an event/activity booking. We therefore recommend that you take out appropriate insurance, which includes cover against such cancellation. 6.7. If you leave an event/activity prior to its completion, you will forfeit all sums paid to us. 7.1. We reserve the right, in our sole and absolute discretion, to cancel an event/activity or all or any bookings prior to the commencement of an event/activity for any reason whatsoever at short notice (including, without limitation, if the minimum number of participants required for an event/activity is not fulfilled). In these unusual circumstances, all monies paid to us will be repaid in full. 7.2. An event/activity may also be cancelled either before or after its commencement for reasons of Force Majeure (as defined in Term 20 below). 8.1. An event/activity description constitutes only an indication of what the event/activity is planned to accomplish. The event/activity description does not form part of the Contract between you and us. Although we will use our reasonable endeavours to provide an event/activity as described, the nature of the events/activities we offer necessitates a degree of flexibility and you accept that any aspect of an event/activity (including, without limitation, the content, location, route or order) may be affected by and/or altered due to circumstances beyond our control or in the interests of the participants. You accept that delays and alterations and their results, such as inconvenience and discomfort, are possible. Such delays and alternations and their results are in themselves great learning experiences and will help equip you for your future endeavours in the outdoors. 8.3. We will not be liable to pay any compensation or incidental costs or expenses that you may incur as a result of any alterations to your event/activity or for any other loss or damage howsoever caused arising out of such alterations. We recommend that you take out appropriate insurance, which includes cover against such costs, expenses, losses or damage. 9.1. Generally, our events/activities require you to be in good physical and mental health and, by attending the event/activity, you confirm that you are physically capable of participating in the event/activity and that you are in good health with no medical history that would make it dangerous (to you or others) for you to participate. Some events/activities may have specific fitness requirements as more fully described in the relevant event/activity description on our website. 9.2. If you have a special medical requirement or health condition, you must inform us prior to the commencement of your event/activity. 9.3. If you have any special dietary requirements or allergies, you must inform us prior to the commencement of your event/activity. 9.4. For the health and safety of all participants, it is your responsibility to have sufficient fluency in English to understand safety instructions which will be given in English. (a) you are unable to keep up with or participate in the event/activity or your health or fitness may compromise your safety or the safety of others on the event/activity; or (b) there is a problem of effectively communicating with you and this is causing a danger to you and/or others on the event/activity, you may, in the absolute discretion of the event/activity leader, be removed from the event/activity (and, if necessary, this may be against your will). In such circumstances, you will not be entitled to a refund of monies and we will not be liable to pay any compensation or incidental costs or expenses that you may incur as a result of such removal or for any other loss or damage howsoever caused arising out of your removal. You will, on demand, reimburse us for our reasonable costs of effecting your removal. 9.6 Insect populations vary according to location, weather and time of year. In many locations, insects are unavoidable and are a natural part of the outdoors experience. We recommend that you come prepared with appropriate protection. 10.1. You are responsible for bringing the appropriate clothing and equipment to an event/activity, guidance of which will be sent to you after your booking has been confirmed. 10.2. Any information provided by us on such matters as climate, clothing, baggage and special equipment is given in good faith but without responsibility on the part of Hidden Woods. 10.3. If, in the sole opinion of the event/activity leader, your clothing and/or equipment is deemed unsafe, you may be required to rent or purchase suitable equipment (if available) to continue the event/activity and you may not be able to participate in the event/activity until such items have been procured. In such circumstances, you will not be entitled to a refund of monies for any part of an event/activity missed and we will not be liable to pay any compensation or incidental costs or expenses that you may incur as a result of such disruption to your event/activity or for any other loss or damage howsoever caused. 10.4. You will, on demand, reimburse us for our reasonable costs or losses in maintaining your safety as a result of unsafe clothing and/or equipment. 10.5. All luggage and personal equipment are, at all times, at your own risk. We will not be responsible whatsoever for any loss or damage to your luggage and/or personal equipment. and you must comply with all reasonable instructions from our event/activity leaders and their assistants in relation to its use. 11.2. We reserve the right to charge you for the cost of replacement or repair of items of property or equipment lost or damaged by you during an event/activity. If any property or land is damaged by you during an event/activity, we also reserve the right to charge you for the cost of reinstating the property or land to the condition it was in before you damaged it. 12.1. Specific event/activity rules will be explained to you at appropriate times during the conduct of an event/activity. You must observe these rules and the reasonable instructions of our event/activity leaders and their assistants at all times. 12.2. You must conduct yourself in a reasonable manner at all times and maintain standards of conduct which are consistent with the aims of the event/activity. 12.3. Parents, guardians, teachers and those in comparable roles in respect of minors must maintain control of those minors at all times, to the satisfaction of our instructors and ensure that they observe all rules and the reasonable instructions of our event/activity leaders and their assistants and conduct themselves in a manner consistent with the aims of the event/activity. 12.4. If, in the sole opinion of the event/activity leader, your behaviour is deemed unsafe or unacceptable for whatever reason, you will, in the absolute discretion of our event/activity leader be removed from the event/activity (and, if necessary, this may be against your will). Circumstances in which this may occur include, without limitation, your intoxication; use of non-prescription drugs; disorderly, abusive or dangerous behaviour; intentional damage to property and failure of control over minors. In such circumstances, you will not be entitled to a refund of monies and we will not be liable to pay any compensation or incidental costs or expenses that you may incur as a result of such removal or for any other loss or damage howsoever caused arising out of your removal. 12.5. You will, on demand, reimburse us for our reasonable costs of effecting your removal. 13.1. Unless otherwise stated in the event/activity description, participation on one of our events/activities does not qualify you to subsequently conduct training courses of a similar nature and we do not condone or certify you to instruct anything for which you have received instruction from Hidden Woods. 14.1. It is a fundamental term of booking that you acknowledge and accept the risks and hazards that may be involved in the events/activities conducted by us, including serious injury or death, loss or damage to property, discomfort and inconvenience. (a) natural areas and waters are subject to natural forces which may result in obstacles and hazards which can be life threatening or cause injury; (b) being in natural areas may result in encounters with wild animals, which can be life threatening or cause injury; and (c) weather may change rapidly and may be extreme, presenting obstacles and hazards which can be life threatening or cause injury. 14.3. Save as otherwise required by law, participants take part in events/activities at their own risk. 14.4 All participants (or their parents/guardians where appropriate) are required to complete and submit a Risk Acknowledgement & Disclaimer Form before the event/activity commences. Failure to submit this completed form will result in you not being permitted to take part in the event/activity, and you will forfeit all sums paid to us. 15.1. 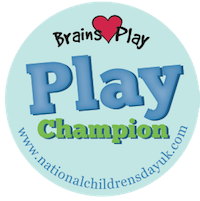 Should you wish to change the date of your event/activity, you may do so if you give us more than 56 days’ notice prior to the event/activity (14 days for ‘Saplings’ parent and toddler group), and provided that there is space available on the date you wish to change to. 15.2. Any such change will be subject to an administration fee of 20% of the event/activity fee. 16.1. If you have a complaint during your event/activity, you must bring it to the attention of your event/activity leader at the earliest appropriate opportunity in order that remedial action may, if appropriate, be taken. You expressly acknowledge that it is unreasonable to take no action during the event/activity, but to complain later. Any outstanding complaint not resolved during the event/activity must be notified to us in writing within 30 days of the scheduled end of the event/activity. To the extent permitted by law, we will not be liable in respect of any claims/complaints raised later than 30 days from the end of the relevant event/activity. 17.1. We respect natural environments, endeavouring to have as little impact on them as possible. We will insist on strict environmental practices to ensure the continued quality of the natural environments in which we conduct our events/activities. Procedures for sanitation, rubbish disposal and clean-up will be explained by your event/activity leader and/or their assistants at appropriate times during the conduct of an event/activity. You must observe these practices at all times. (a) death or personal injury caused by our negligence; or (b) fraud or fraudulent misrepresentation; or (c) any breach of the obligations implied by section 12 of the Sale of Goods Act 1979 or section 2 of the Supply of Goods and Services Act 1982; or (d) losses for which it is prohibited by section 7 of the Consumer Protection Act 1987 to limit liability; or (e) any other matter for which it would be illegal or unlawful for us to exclude or attempt to exclude our liability. breach of statutory duty, or otherwise, shall not exceed the price paid by you for the event/programmme. 18.3. Except as set out in these Terms, all warranties, conditions and other terms implied by statue or common law are, to the fullest extent permitted by law, excluded from these Terms. 18.4. This clause 18 shall survive termination of any Contract and the completion of any event/activity. (a) strikes, lock-outs, boycott or other industrial action (whether involving our workforce or any other party); (b) civil commotion, riot, invasion, terrorist attack or threat of terrorist attack, war (whether declared or not) or threat or preparation for war; (c) act of God (including, without limitation, fire, tempest, storm, flood, earthquake, subsidence, epidemic, or other natural disaster); (d) failure in the provision of any utility, including power, gas, water, or communication services; (e) malicious damage or sabotage; (f) compliance with any law or governmental order, rule, regulation, sanction, embargo or direction; (g) breakdown, cancellation or failure of machinery or transportation (including, without limitation railways, shipping, aircraft, motor transport or other means of public or private transport); or (h) default of suppliers or subcontractors. 19.2. We will not be liable to you as a result of any delay or failure to perform our obligations under these Terms as a result of a Force Majeure Event. 19.3. If the Force Majeure Event prevents us from commencing or completing the event/activity as planned we shall, without limiting our other rights or remedies, in the sole discretion of the event/activity leader either (i) seek an alternative means of meeting the event/activity objectives in the time available, provided the event/activity leader determines that it is reasonable and safe to do so (including, without limitation, achieving the objectives of the event/activity at a different location or by following a different itinerary or route); or (ii) cancel the event/activity immediately. 20.1. These Terms may be varied at any time, without notice. You will be subject to the Terms in force at the time that you make a booking request, unless any change to the Terms is required by law or government or regulatory authority in which case, the revised Terms shall apply to any booking you have previously made. 20.2. Before you enter into a Contract with us, we reserve the right to amend any of the events/activities, services and/or prices described on our website. 22.1. If any particular term or condition shall be held void or unenforceable in whole or part by any court or other competent authority, the remaining terms and conditions, and the remainder of the term or condition affected, shall remain in full force and effect. (a) a person includes a natural person, corporate or unincorporated body (whether or not having separate legal personality); (b) a reference to a person includes its personal representatives, successors or permitted assigns; (c) a reference to a statute or statutory provision (i) is a reference to such statute or statutory provision as amended or re-enacted from time to time and (ii) includes any subordinate legislation made under that statue or statutory provision, as amended or re-enacted from time to time; (d) any phrase introduced by the terms including, include, in particular or any similar expression, shall be construed as illustrative and shall not limit the sense of the words preceding those terms; and (e) a reference to writing or written includes e-mails. 1.2. You must be at least 18 years of age to use our Website or, if you are under 18 years of age, have the permission of your parent or guardian to use our Website. By using our Website you warrant and represent that you are at least 18 years of age or otherwise have the permission of your parent or guardian to use our Website. 3.1. Access to our Website is permitted on a temporary basis, and we reserve the right to suspend, withdraw or amend the contents of our Website (in whole or in part) or any services provided via our Website or advertised on our Website without notice and without the need to give reason. 3.2. We will not be liable if for any reason our Website is unavailable at any time or for any period. 3.3. From time to time, we may restrict access to some parts of our Website, or the entire Website, to users who have registered with us. 3.5. You are responsible for making all arrangements necessary for you to have access to our Website. 4.1. All copyright, trademarks and all other intellectual property rights in our Website and its content (including, without limitation, our Website design, brands, logos, text, artwork, photographs, images, audio material, video material, audio-visual material, graphics and all software and source codes connected with our Website) are owned by or licensed to Hidden Woods or otherwise used by Hidden Woods as permitted by law. Other than the rights of use set out below, all such rights in respect of our intellectual property are reserved. (h) modify the paper or digital copies of any materials you have printed off or downloaded in any way, and you must not use any illustrations, photographs, video or audio sequences or any graphics separately from any accompanying text. 4.5. Nothing contained on our Website should be construed as granting, by implication, estoppels, or otherwise, any license or right to use any logos, brand identities and other trademarks and service marks (collectively, the “Marks”) that are the property of, or are licensed to, Hidden Woods Limited and displayed on our Website without written permission of Hidden Woods Limited or any third party that may own a Mark displayed on our Website. (c) to transmit or send unsolicited or unauthorised commercial communications (including, without limitation, any advertising. marketing or promotional material) and/or links to such communications. (d) to conduct any systematic or automated data collection activities (including without limitation, scraping, data mining, data extraction and data harvesting) on or in relation to our Website unless you have received our express written consent. (c) comply with applicable law in the UK and in any country from which they are submitted. 6.3. Submissions must not contain any material that is discriminatory; obscene, offensive, hateful or inflammatory; pornographic; defamatory; liable to incite racial hatred; promotes violence; in breach of confidentiality or privacy; which may cause annoyance, inconvenience or needless anxiety or embarrassment to others; fraudulent; to impersonate any person, or to misrepresent your identity or affiliation with any person or company; likely to deceive any person; give the impression that it emanates from us, if this is not the case; or which encourages or constitutes conduct that would be deemed a criminal offence, give rise to a civil liability, or otherwise is contrary to applicable law or regulation (including, without limitation, breach of intellectual property rights and computer misuse). 6.4. We reserve the right to edit or remove any material submitted to our Website, or stored on our servers or hosted or published on our Website. 6.6. Any material you submit to our Website will be considered non-confidential and non-proprietary, and we have the right to use, copy, distribute and disclose to third parties any such material for any purpose. We also have the right to disclose your identity to any third party who is claiming that any material posted or uploaded by you to our Website constitutes a violation of their intellectual property rights, or of their right to privacy. 8.1. Where our Website contains links to other websites and resources provided by third parties, these links are provided for your information and convenience only. Any link to other websites or resources is not an endorsement of such websites or resources and we make no representations about them or any material contained in them. We have no control over the contents of those websites or resources, and accept no responsibility for them or for any loss or damage that may arise from your use of them. If you choose to access a third party website linked to from our Website, it is at your own risk. 8.2. If you would like us to remove a link to your website that is included on our Website, please contact us at hello@hiddenwoods.co.uk. However, unless you have a legal right to demand removal, such removal will be at our discretion. (h) links pointing to our Website should not be misleading and appropriate link text should always be used. 9.2. You agree that, should we request the deletion of a link to our Website that is within your control, you will promptly delete the link. 10.2. Our messaging systems automatically scan all incoming email and other messages and filter-out messages that appear to be spam. 10.3. No message filtering system is 100% accurate and from time to time legitimate messages may be filtered out by our systems. If you believe this has happened to a message you have sent, please advise the message recipient by another means. You can reduce the risk of a message being caught by the spam filters by sending the message in plain text (i.e. no HTML), removing any attachments, and ensuring that your messages are scanned for malware before dispatch. 10.4. In the unlikely event that you receive any message purporting to be from us or sent using our systems that may be considered to be spam, please contact us at hello@hiddenwoods.co.ukand the matter will be investigated. 11.1. We take reasonable steps to ensure that the information on our Website (other than user generated material) is correct. However, we do not warrant or guarantee the completeness or accuracy of the material displayed on our Website. We may make changes to the material on our Website at any time and without notice. The material on our Website may be out of date, or on rare occasions incorrect and we make no commitment to ensure that such material is correct or up-to-date. (b) any liability for any direct, indirect or consequential loss or damage incurred by any user in connection with our Website or in connection with the use, inability to use, or results of the use of our Website, any Websites linked to it and any materials posted on it, including, without limitation any liability for servicing or repair costs, any loss or corruption of any data, database or software, loss of income or revenue; loss of business; loss of profits or contracts; loss of anticipated savings; loss of data; loss of goodwill; wasted management or office time, and for any other loss or damage of any kind, however arising and whether caused by tort (including negligence), breach of contract or otherwise, even if foreseeable. 13.2. We will report any breaches of applicable law or regulation to law enforcement authorities and we will fully co-operate with any law enforcement authorities or court order requiring us to disclose the identity or other details of any person using our Website or submitting material to our Website in breach of applicable law or regulations.